Raymon has over twenty five years experience in the Logistics industry as an end user and service provider. This includes senior management, government linked and academic positions in a variety of international companies and institutions based in Asia, the US, Europe and Australia. His experience covers the full Logistics spectrum, from raw material procurement to physical distribution and eventually Customer Service and care, with a strong grounding in Quality and Six Sigma. 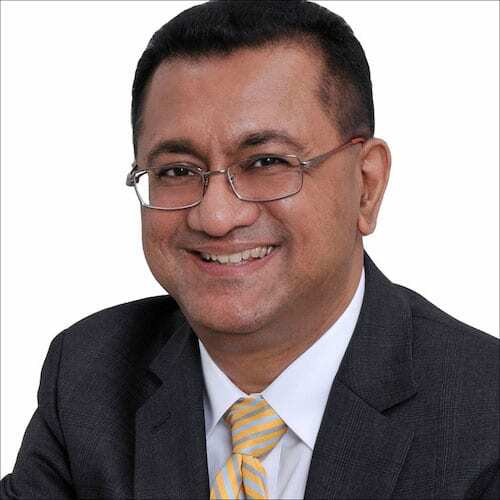 His last commercial role was as Global Commercial Director of APL Logistics and prior to this as Director Asia Pacific Logistics & Trade Compliance for W R Grace Inc.
Dr Krishnan, holds a Doctor of Business Administration (DBA) degree, focused on the concept of Combined Distribution Networks. He also holds a degree in Logistics from the Royal Melbourne Institute of Technology and a Master of International Business from the University of Wollongong. Raymon is a Fellow of the Chartered Institute of Logistics and Transport and The Australian Logistics Academy, an Associate Fellow of the Australian Institute of Management and was an Honorary Fellow of the University of Wollongong, where he was responsible for teaching and representing the interests of the University in the region. He has also been the Programme Director for the University of Wales, Masters in Supply Chain Management offered in Singapore along with a number of other senior academic positions. Raymon is currently the President of the Logistics & Supply Chain Management Society and under his stewardship the Society has been nominated the Best Logistics Education Provider in ASIA in 2003 & 2004, In 2008, the Society won the Supply Chain Asia Education Award and was again nominated for the award in 2010. This recognition was in part due to the setting up of the region’s first and only physical warehouse training facility.